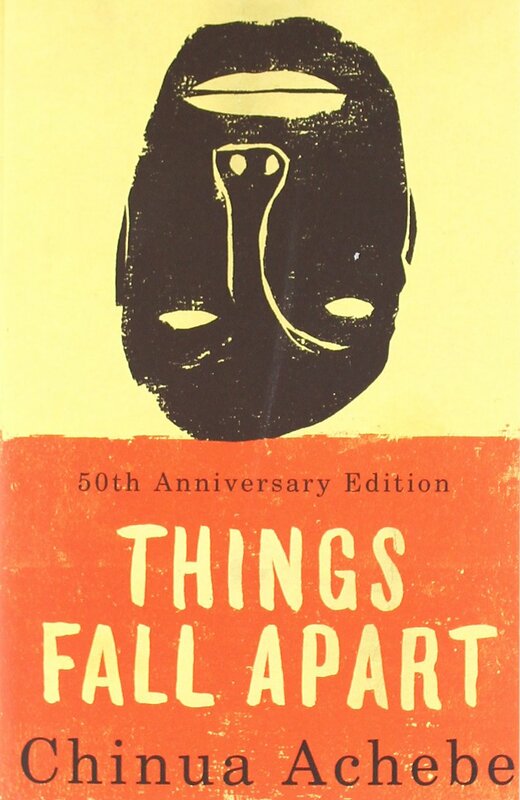 I recently re-read Chinua Achebe’s Things Fall Apart, after it was featured on this season of Crash Course: Literature. The first time I read the book, I was 12 years old, in middle school, doing the honor-student-athlete balancing act, and to say that I hated this book would be wildly unfair, because I did not, in fact, finish reading it. Halfway through I noped out and convinced a classmate to summarize the rest of the plot for me so I wouldn’t fail the test. Now I am a 24-year old college graduate with a degree in English. Of the 23 books I’ve read so far this year, 3 of them were by Nigerian-born authors, like Achebe. I’ve become much more interested in the world at large and non-western cultures than I was at the age of 12, and so when I was reminded about this book, I decided I should give it another shot. This time around? Well, it was pretty alright. In terms of cultural impact and influencing future generations, Things Fall Apart is an incredibly important book, particularly if you want to establish a beginner’s understanding of what colonialism has done to African nations, and what western versions of history have erased from that narrative. It’s about 90% culture study, detailing the daily lives of Okonkwo and his wives, and it’s not until the last 10% that Brits show up and everything goes bottoms-up. You get so firmly established in the tribal culture that you feel colonialism and the establishment of Christianity as a personal affront, and in that way the novel is incredibly successful. It’s also kind of boring, and Okonkwo is a huge tool. I can see why I declared it unworthy as a 12-year-old. My teacher had good intentions in picking it–we were smart students, and it certainly wasn’t above our reading level–but she didn’t properly contextualize it, and I remember being bored to tears by the slow exposition. And really, when you think about it, what’s a white 12-year-old upper-middle-class American female going to glean from a book like Things Fall Apart? Very little, as it turns out. Having not hated this book the second time around, though, I’m now looking back over my old course curriculum with some curiosity. There were a lot of books assigned to me in middle school that I didn’t care for–books held in high esteem by the wider literary community, and not just in that obnoxious old-dead-white-guys-write-important-things way. Shabanu by Suzanne Fisher Staples and Octavia Butler’s Kindred come immediately to mind. What would I think about those books if I read them now? Maybe it’s time to find out. I’m curious: have you ever re-read a book you hated reading in school? How was that? I think I pretty much enjoyed all the books I read in school and some of them I’ve re-read since and still really like. There’s a bit of a storm kicking up at the moment because our Education Secretary is removing To Kill A Mockingbird and Of Mice and Men from our GCSE English syllabus (I studied Mockingbird when I was doing those exams) in favour of other, British, novels. I think it’s such a shame because he wants to replace them with Dickens or Austen which I can’t imagine a lot of 15/16 year olds ploughing through. Whereas Mockingbird and Of Mice and Men both have so much more to teach kids than about good writing. You know, somehow it never occurred to me that so much of the “Western canon” is American authors, but now that you mention it that does seem a bit strange. Not that To Kill A Mockingbird isn’t great (I didn’t care for Of Mice and Men, but maybe I would like it the second time around? ), but it makes sense to want to focus on literature more from your own country. I am also not sure a middle schooler could get through Dickens, though. I can’t even manage it. I’ve tried to read A Christmas Carol like five times and invariably get bored a third of the way in. Austen is sometimes more palatable, but also hard to wade through all the talk about manners and custom to get to the guts of the story. I’m still a little pissed at the teacher who made me read Mansfield Park; what a useless novel. Personally, I’m a huge champion of intentionally seeking out literature from OTHER cultures than your own. Like, I read a few dozen various “classics” in school on the American Spirit/Dream/Way of Life/the Death Thereof, and after a while they all start to run together. Achebe is actually a great example of breaking that mold in book selection; I just wish my teacher had made more of an effort to contextualize it so we knew what the hell we were reading. I don’t think I even knew he was Nigerian–just that he was “from Africa.” Bletch.